Crayon rolls for a cause! | Sew Lindsay, Sew! 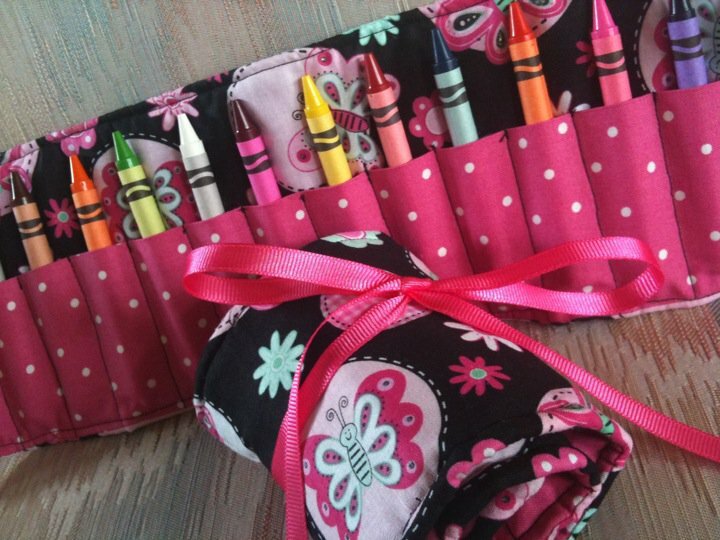 Crayon rolls for a cause! Now, I know you’re probably all thinking that sounds like an incredibly rash decision and that I’m a crazy person. Well, it was, and I am. It was the first time I’ve ever jumped on a plane with just a day’s notice, but I’m so glad I did! I usually have an agenda when I visit my parents – a wedding, a birthday, a family vacation – but this time I savored every uneventful, unplanned moment from walking the dog to enjoying a steak dinner off the backyard grill. Of course, my mom and I visited three different fabric stores and whipped up a handful of crayon rolls before the weekend was through! At the risk of sounding incredibly gushy, I have learned throughout the past few months that my family means more to me than anything else in the world – and I would not trade a last-minute weekend with them for anything. We may be a little family – just my mom, dad, brother and me (and recently, a precious little pup named Gizmo!) – but we sure know how to do it right. No family is perfect, but my family is perfect for me. It’s strange to think that without the presence of fabric crayon rolls in my life, I may not have taken that last-minute trip home! « Hats off to you, mom! 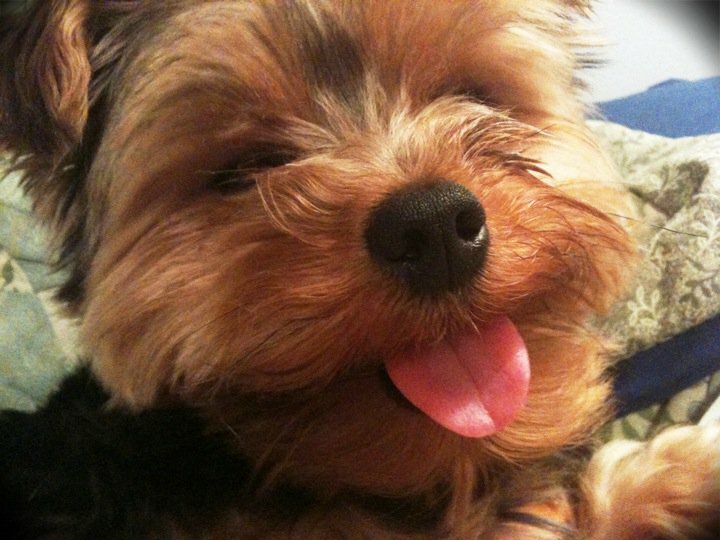 Isn’t he the most precious dog ever? My favorite thing about him is that he lets us pick him up under his little doggy arms and carry him around like a baby! How fun!! Ahhh the power of sewing, right?! So…did you pack your sewing machine & bring it with you? Really cute project!! Who wouldn’t love that face!